Looking for part-time, flexible work in a fun environment? We are growing at Large Document Solutions (located in Centennial, CO) and looking for smart, self-driven people to work in the areas of administration, product placement and customer service. We are a small, nationally successful sales company that provides customers with solutions to their large format document needs through customer service via phone and internet. Experience to work here is not required, just a passion and ability to learn. We will provide the training! This is a great opportunity for technically-minded, customer-focused, self-driven people who want flexibility. If you are interested in working at Large Document Solutions, please send your resume and tell us why you are interested to info@largedocuments.com. Or feel free to give us a call at 303 773-9015. Protect Your Documents: Carrier sheets are a great way to protect your fragile, dry, aging, and valuable documents when scanning using a large format roll-feed scanner. Protect Your Scanner: Scanner glass can be easily scratched from documents contaminated with storage dirt and dust. Scan documents in badly torn condition or with missing edges. Scan multiple lightweight or oddly shaped originals, including upholstery patterns. 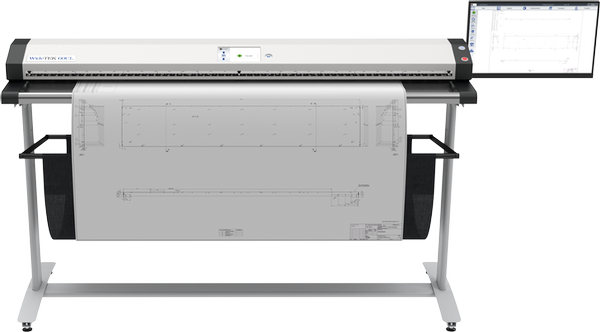 Scan transparencies more effectively with a large format carrier sheet. Scan transparencies more effectively. Light reflection and scan quality is improved by the white backing sheet. Scanning semi-transparent originals printed on both sides. Prevents backside image appearing underneath the image of the front side (when scanning newspapers and double-sided maps). Black background helps with auto cropping software. Last but not least, works as a black roller substitute. Large Document Solutions have many different sizes with all three backgrounds: White, Black, & Clear. We have a carrier sheet for any application. Introduced in late 2018, Large Document Solutions and Image Access would like to introduce the WideTEK 60CL roll feed scanner. A compliment to its little brothers the WideTEK 36CL (36”) and WideTEK48CL (48”). The fastest scanner in it’s class, quality images at 8 inches per second at 150 dpi in 24bit color. At 60 inches and 600 dpi resolution, the scanner will scan 1 inch per second. If scanning in monochrome or greyscale, the scanning speeds are tripled. A major enhancement is scanning thickness. The WideTEK 60CL is capable of scanning up to .47 inch documents. That is almost ½ inch! Other features are the new monitor arm and more convenient on/off buttons and USB 3.0 output port. Like all Image Access scanners document rotation is done on the fly. No need to rescan. A scan of an E-sized / A0 (36”x48”) document in landscape at 300 dpi in 24bit color can be completed in less than 7 seconds and less than 2 seconds to crop & deskew, preview, cleanup, compress and store on your network store. This and other scanners can be found at www.largeformatscanners.com or just give us a call at (866) 338-4464 and we will be happy to answer all your questions. Image Access and Large Document Solutions has introduced a padded shipping box for their WideTEK 36cl scanners. Now it is possible to safely ship your Image Access scanner from destination to destination. As the saying goes, "Have scanner will travel". Now it is possible to take your large format scanner to destinations where originals cannot be removed from the location. There are two models of this travel box. The large box will hold the scanner and monitor the smaller box just the scanner. The box has 4 quality hinges for safe removal of the scanner. Very durable. A perfect option for traveling. Dimensions of this box is 18" x 15 1/2" x 48" with two industrial quality wheels for easy one person transport. Join us at the Colorado County Clerks Association Winter Conference. Located at the DoubleTree hotel in Colorado Springs, Colorado. Today thru Wednesday January 23, 2019. Check out the latest in scanning and archiving equipment. We specialize in large format scanners manufactured by Image Access. 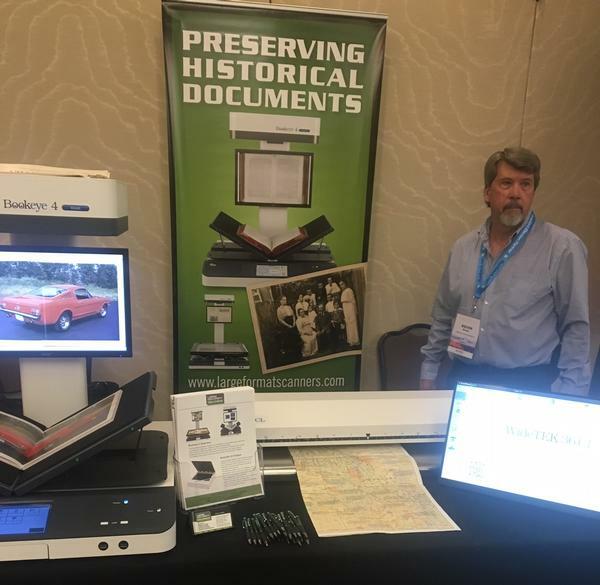 Come see the WideTEK 36CL and Bookeye BE V2 Book Scanners. Thank you and we look forward to helping you with your Large Document Solution! Large Document Solutions, a Centennial based company, would like to invite you to visit our booth at the Colorado County Clerks Association Winter Conference. Located at the DoubleTree hotel in Colorado Springs, Colorado. We have a variety of Large Format products that we would like to share with you. Please see the latest technology in Large Format Scanning with our Image Access WideTEK 36CL and Bookeye Book Scanner. We will be displaying our WideTEK 36CL's NEW carrying case. This case is perfect for that remote scanning job where documents cannot leave the building. We are very excited about this added functionality. Our scanning solutions play a vital role in Colorado Clerk & Recorder’s department’s processes. 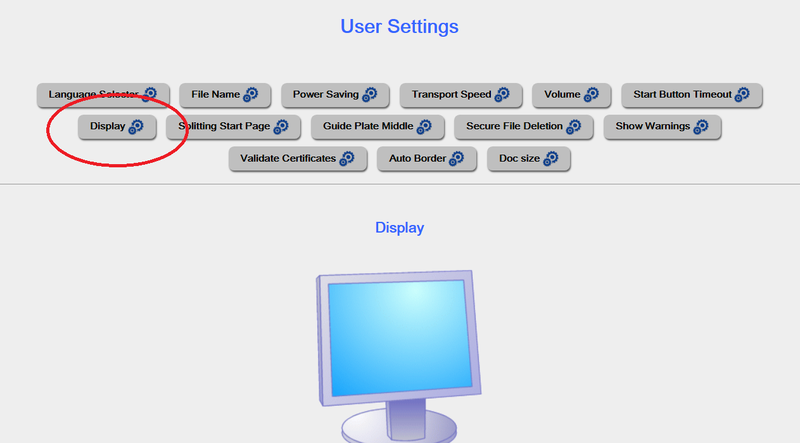 How to enable the touch screen monitor on an Image Access WideTEK CL scanner. Large Document Solutions have found that when a brown out or a low power condition is present on the WideTEK CL scanners the monitor becomes inoperable. It works just like your cell phone. Once a low power condition is detected the scanner starts to save power by disabling non-critical systems of the scanner. The touch screen monitor is in this family. 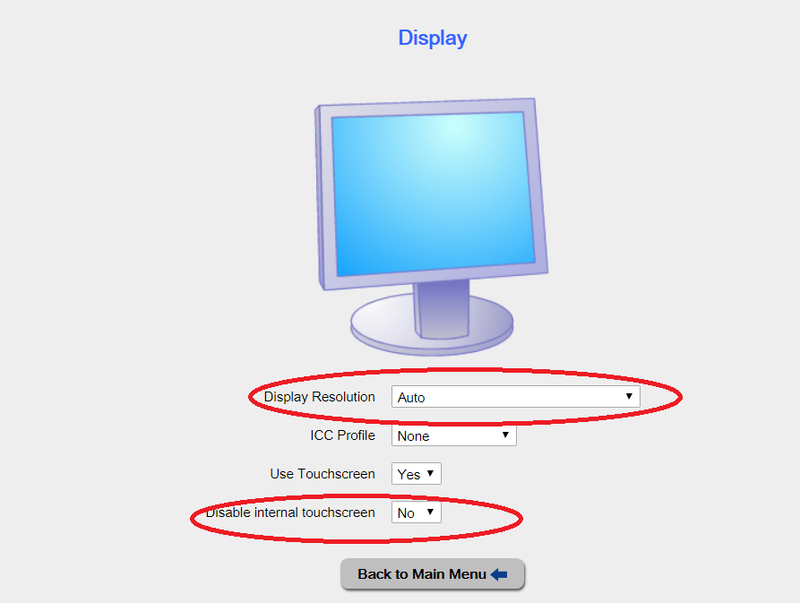 To enable the touch screen monitor, follow these simple steps to correct this issue. 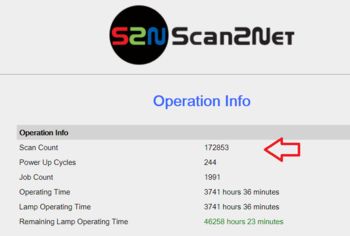 Go into the Scan2Net softare via your web browser. 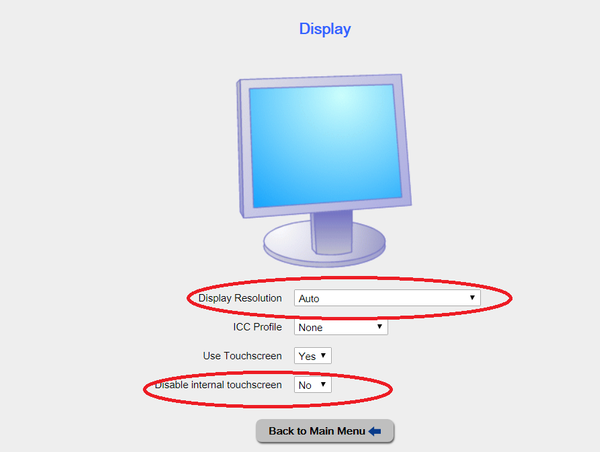 Now make sure the “Disable internal touchscreen” is set to “NO” and the “Display Resolution” is set to “Auto”. You can adjust the resolution here also. You can play with this if “Auto” does not work. 1. 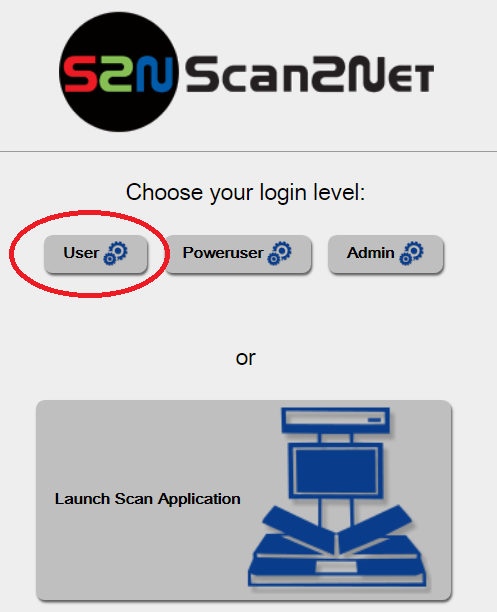 Launch the Scan2NET software by typing in the IP address of the scanner. 2. Select any user. The default user is sufficient. 4. Screen Print or Log the scan count. They couldn't get the moose in the oven! Happy Thanksgiving from Large Document Solutions! 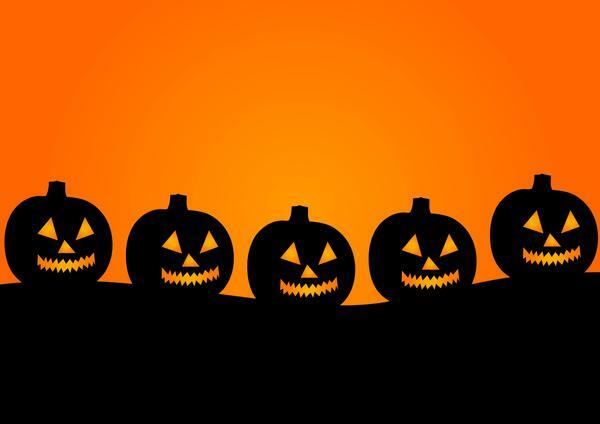 Large Document Soluions would like to wish everyone a safe and happy Halloween!